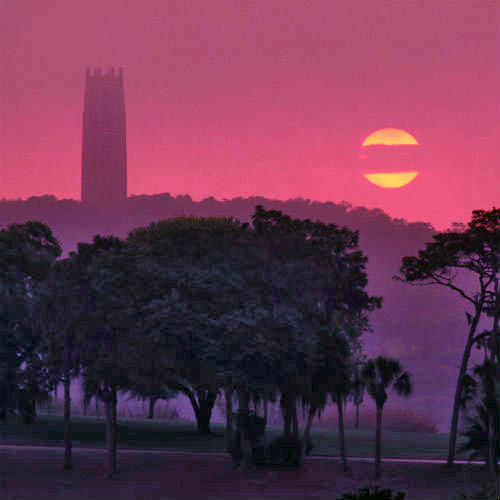 Bok Tower Gardens is not currently available. 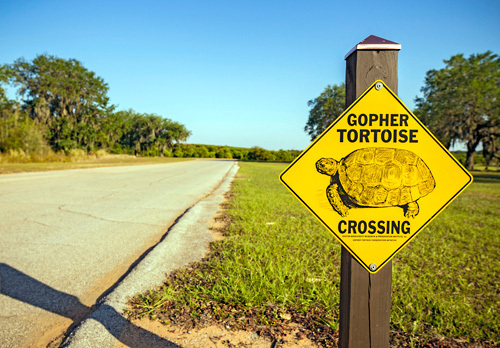 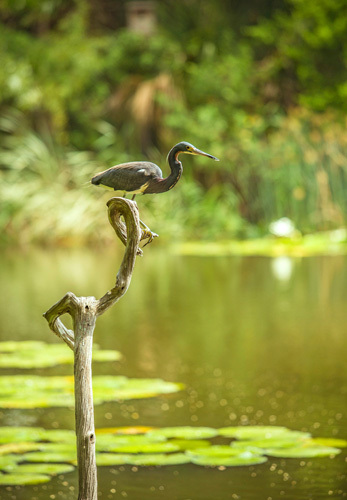 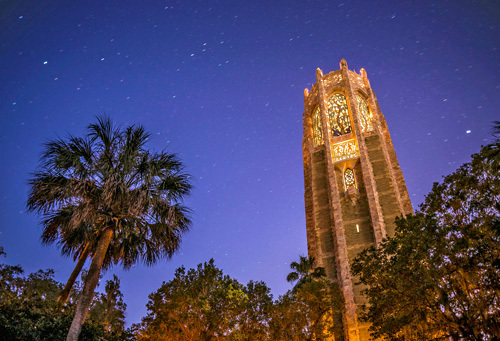 A historic landmark boasting a 250-acre contemplative garden, a 205-foot tower and a bird sanctuary, Bok Tower Gardens gives visitors an up-close view of Florida’s beautiful wildlife and vegetation. 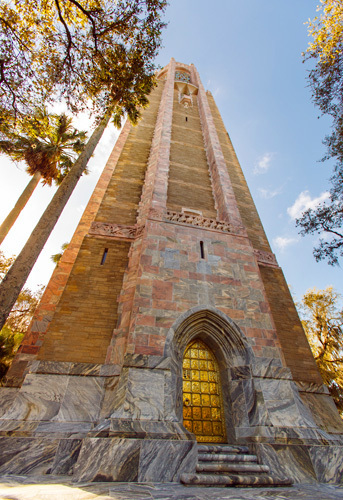 This unique destination has attracted 23 million since 1929, inspiring artistic, cultural and spiritual enrichment from its Singing Tower carillon, Mediterranean-style mansion and lush gardens. 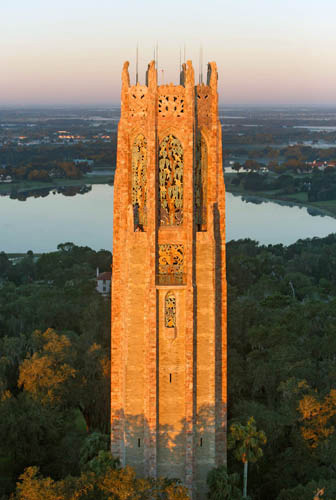 The 205-foot neo-Gothic and art-deco Singing Tower carillon houses one of the world’s finest carillons. 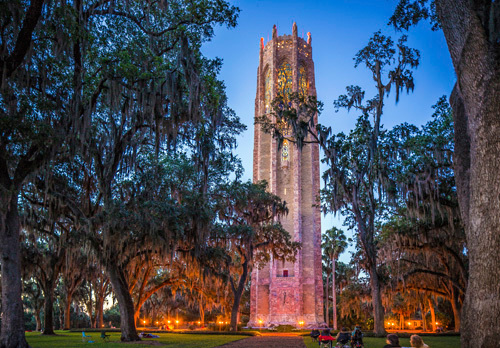 Open to visitors since 1929, Bok Tower Gardens is one of the greatest achievements of famed landscape architect Frederick Law Olmsted Jr.
Concerts from the 60-bell carillon at 1 and 3 p.m. fill the Gardens daily. 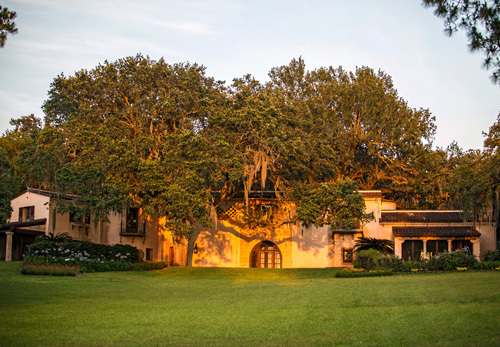 Pinewood Estate, the enchanting 20-room Mediterranean-style mansion, is open for tours throughout the year. 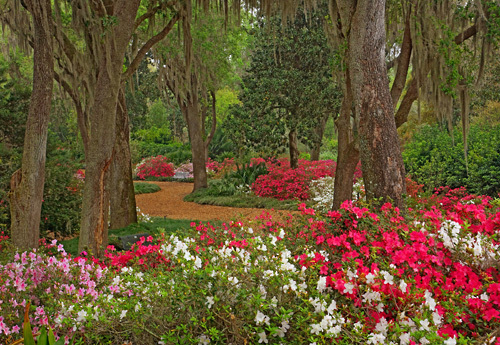 Spring season is the best time to visit. 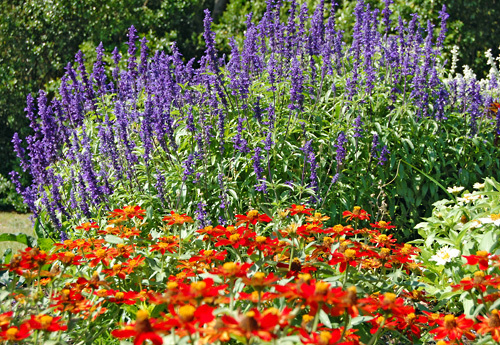 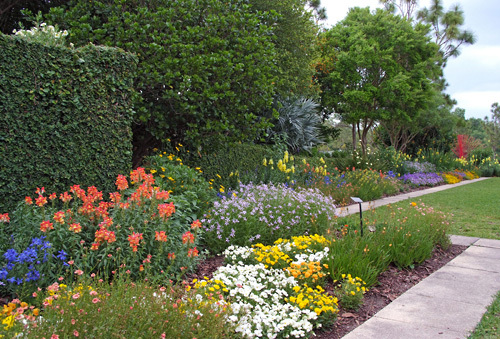 Plan to spend a minimum of 3-4 hours at the Gardens. 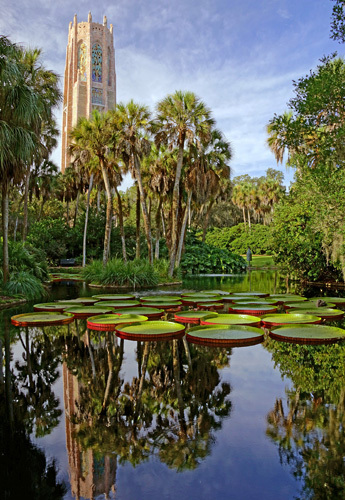 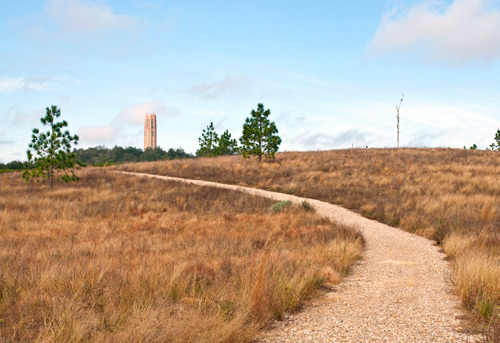 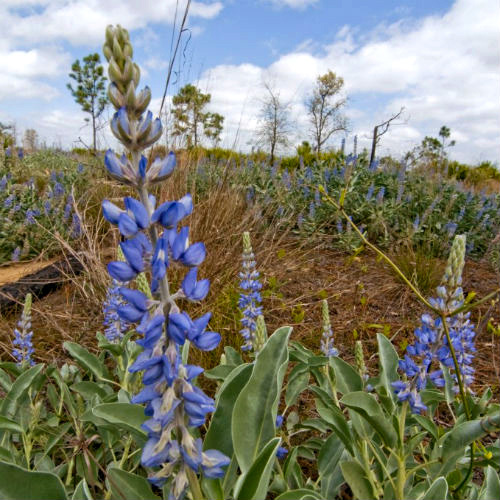 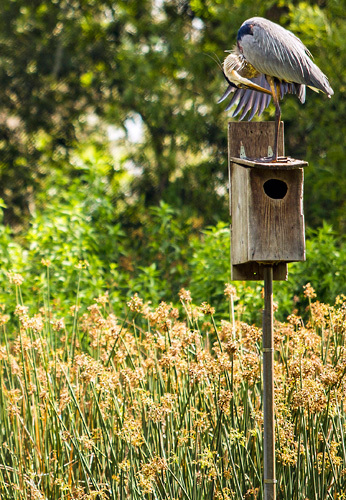 Bok Tower Gardens offers visitors Florida's most abundant opportunities for aesthetic, cultural and personal enrichment. 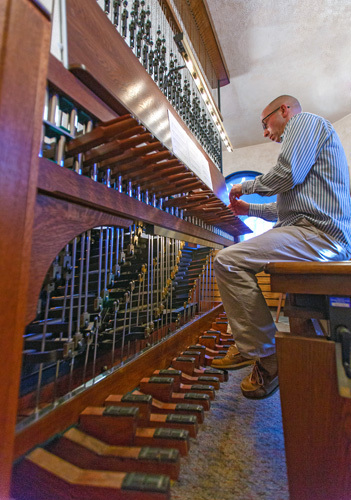 The lush landscapes of the Olmsted gardens, the majesty and music of the Singing Tower with its 60-bell carillon, and the splendor of Pinewood Estate create an experience that inspires all who visit. 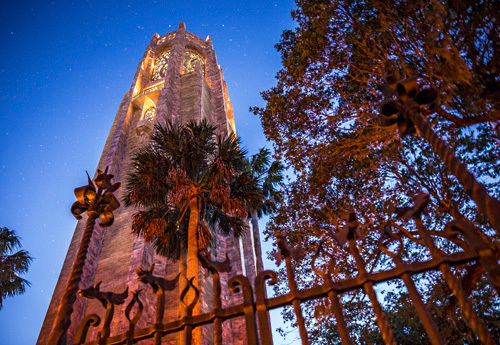 Bok Tower Gardens is open every day of the year from 8 a.m. to 6 p.m. with the last admission at 5 p.m.
Top floor closed: March 3-13, ticket price reduced to $3, pay upon arrival. 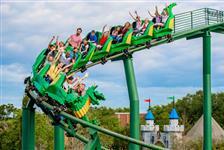 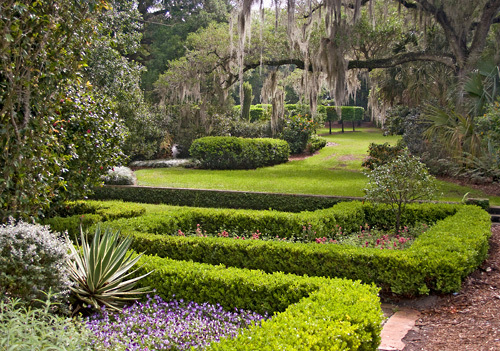 Best time to visit Pinewood Estate is 11:00 a.m. – 1:00 p.m.
Estate busy hours are from 1:30 p.m. – 2:30 p.m.
How long does it take to walk through Bok Tower Gardens?To fully experience everything Bok Tower Gardens has to offer – a historic Olmstead landscape garden, the Singing Tower Carillon, Pinewood Estate mansion tour, the museum exhibits, café, gift shop, and more – they recommend a minimum of three to four hours. 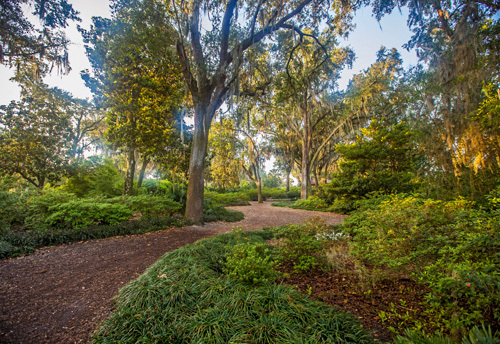 Does Bok Tower Gardens have wheelchairs or mobility carts available?Bok Tower Gardens has one wheelchair, three adult strollers and five small children strollers available to guests. 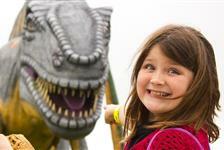 They are free for visitors to use and are available on a first-come, first served basis. 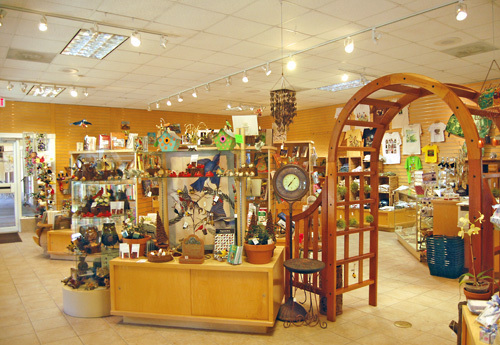 For availability, please check in at the Tower & Garden Gift Shop. 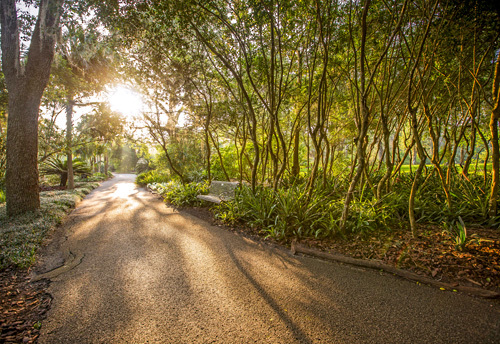 Single-passenger mobility carts are available to rent for $6 for one hour or less; $20 for four hours; and $40 for an entire day. 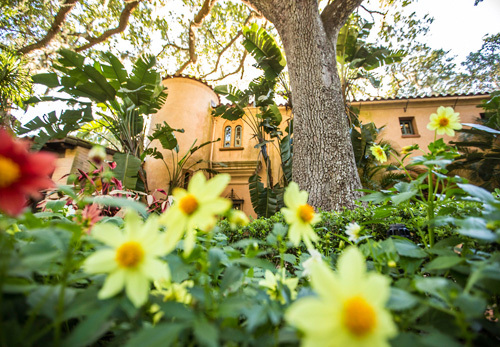 Arrangements for mobility carts can be made at the Tower & Garden Gift Shop. 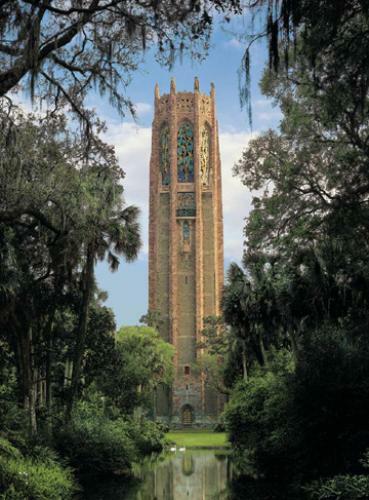 When can I hear the bells at Bok Tower Gardens?Carillon concerts are featured daily at 1 & 3pm. 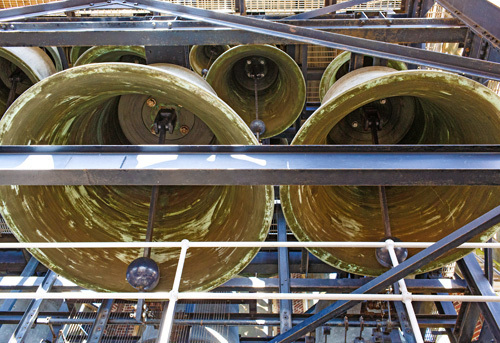 Visitors can usually hear clock music selections at 9am and every half-hour following. 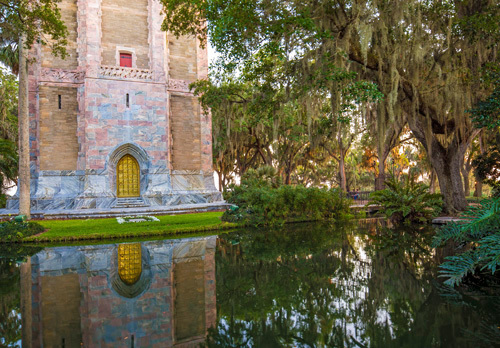 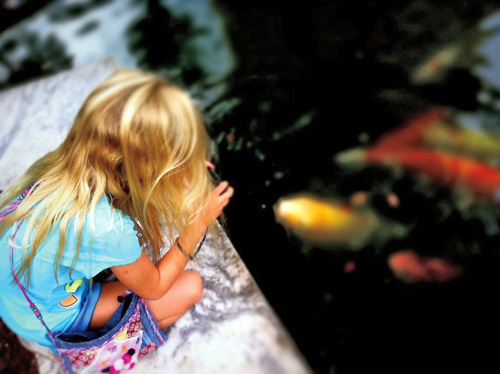 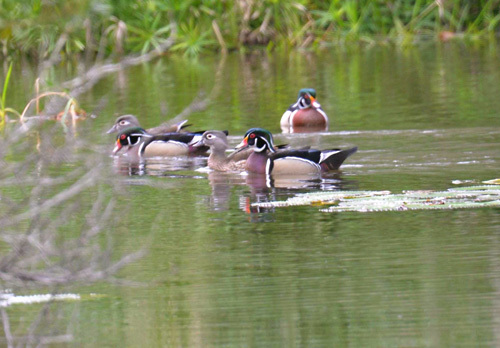 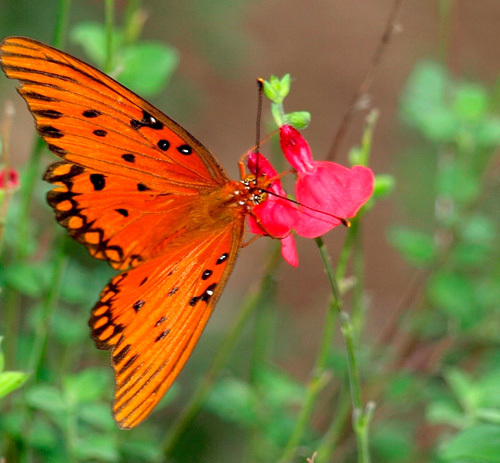 Does Bok Tower Gardens have a place to eat lunch or purchase snacks?Yes. 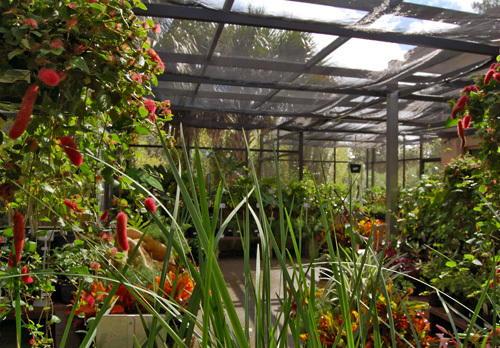 The Blue Palmetto Café is located on-site and features a wide assortment of lunch and snack selections. 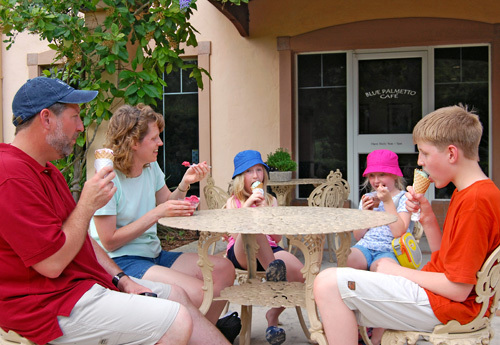 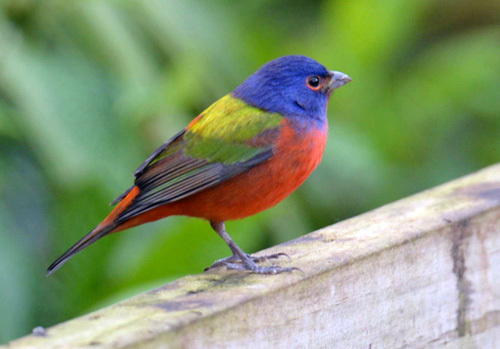 The Blue Palmetto Café is located near the Visitor Center and is open from 9am-5pm daily. 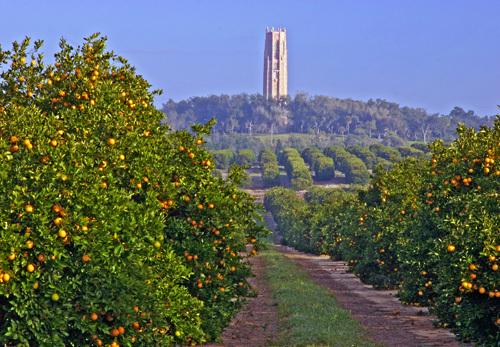 Is the Singing Tower open for visitors?The Singing Tower is open to guests who are sustainer level members or tower level members. 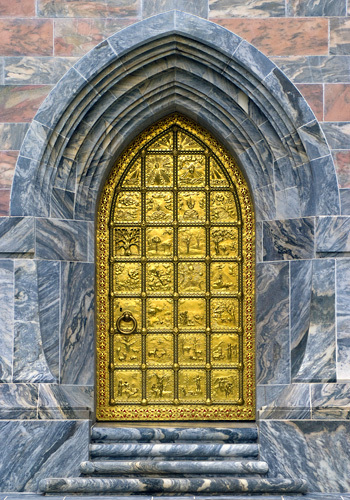 Non-members are prohibited from entering the Singing Tower. 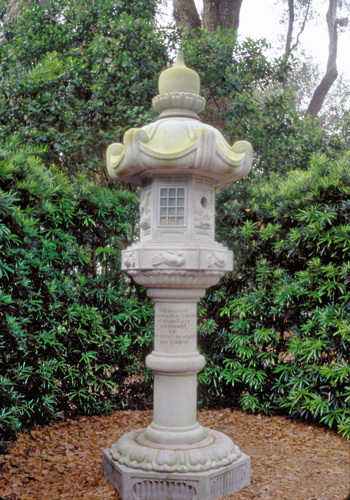 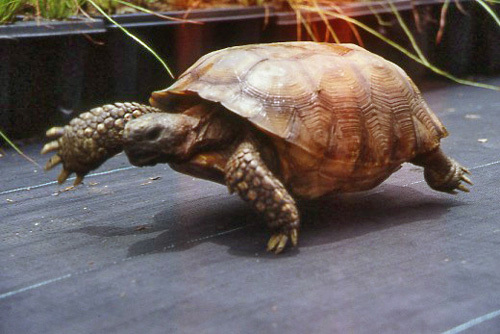 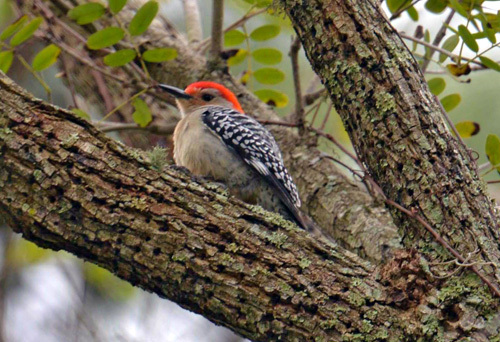 Does Bok Tower Gardens allow pets in the gardens?Pets are not allowed in the gardens. 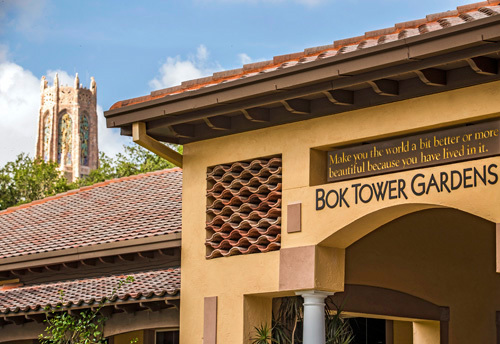 However, Bok Tower does have a “pet pen” that is an open-air, chain-link enclosed facility that is unattended, but does provide water (guests must bring their own water bowl). 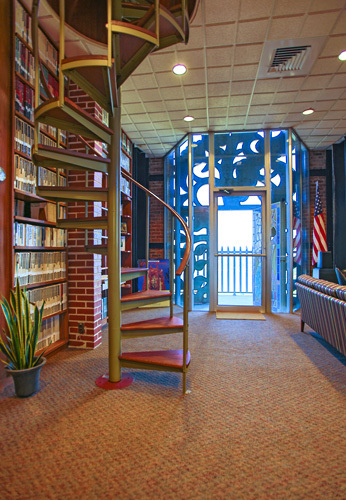 The fee to use the “pet pen” is $10, which includes a lock. 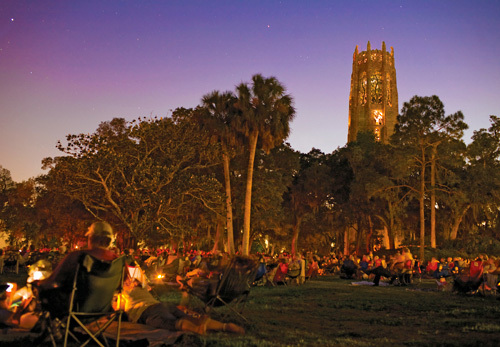 When the lock is returned after your time at Bok Tower visitors receive a refund of $4.65, making the pet fee $5 plus tax. 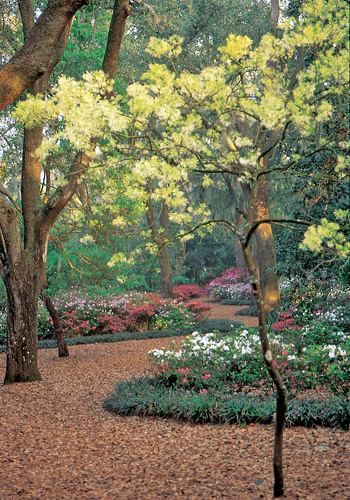 Is the historic mansion open for tours?Pinewood is open for walking tours. 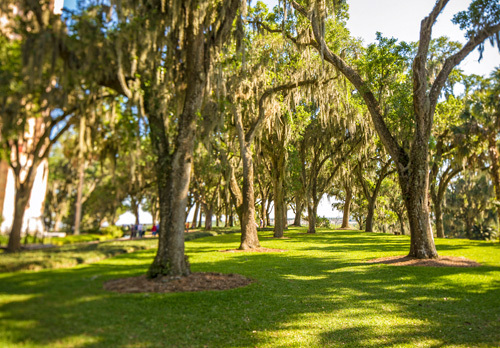 Upon arrival, please check in with the Visitor Center for availability.